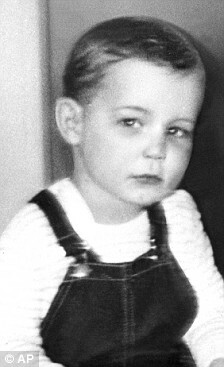 Steven was two-years old when he went missing from outside a baker's shop one October day back in 1955. When Steven Damman's mother Marilyn returned from shopping ten minutes later, she was horrified to find that the toddler had vanished. 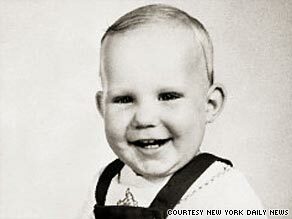 His seven-month-old sister Pamela was found safely in her buggy round the corner from the shop in Long Island, New York. But despite a search involving 2,000 people and the arrival of a ransom note a fortnight later, nothing has been seen or heard of Steven for 54 years. Missing since 31 October 1955. 'I'm the son snatched from you 54 years ago': Man claims he was toddler in case that baffled U.S.
John Barnes (the man who might be Steven Damman) said he never felt that he fitted in with the family he grew up with, according to officials involved in the case. 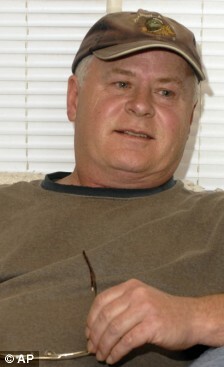 He believed he might be a missing person and learned of the Damman case by researching similar disappearances around the U.S. He approached Long Island police and federal authorities and his claim has been referred to the FBI, which is awaiting the result of DNA tests to see if it is true. I really hope this turns out to be true for his families sake!! 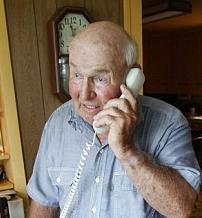 His dad is now 78 years old!! It has been such a long time but it would give much needed hope to so many families!!! A middle-aged man who claimed DNA tests would prove he was kidnapped as a toddler and later raised unwittingly by another family have been found to be false.